Calculate your annuity surrender value. The amount of money shown on your statement might be much higher than the check you get from the insurance company if you cancel your annuity. Most annuity contracts let the company keep some of your money if you close the account within the first several years. These surrender charges can be upwards of 10 percent at the start, and usually decrease by 1 percent each year. Figure out how much of your withdrawal is taxable. If your annuity is in an IRA or company retirement plan, it's a no-brainer — the entire amount you receive is considered taxable income. However, if your annuity isn't in this type of retirement account, it might take a little more effort to separate old money from new earnings. In that case, you have to add up all your deposits and subtract that amount from what the insurance company sent you. Only the growth is taxable if you didn't get a deduction for your contributions. Determine your tax bracket. Once you've figured out how much of your withdrawal is untaxed growth, add that amount to any other income for the year. 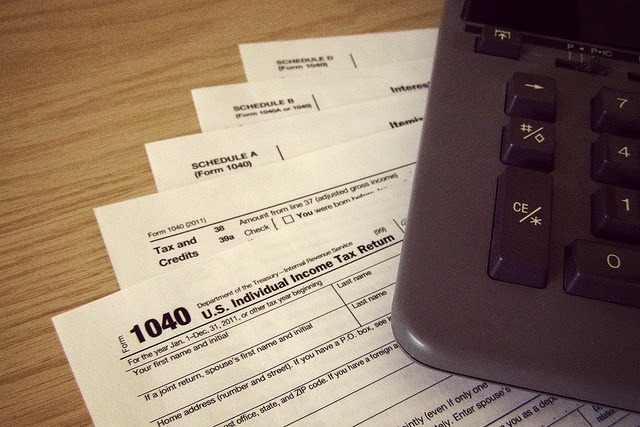 Fit the total amount into the IRS tax tables to find your tax bracket. If you're feeling adventurous and have some time to waste, you can find the tax bracket tables on the IRS website. Find out how much you've already set aside for taxes. Unless you're a business owner or work for commission only, your employer sets aside something from every paycheck to help stash enough money for your taxes. Look at your pay stub for the YTD numbers, or look at last year's W-2 for an idea of how much will be there. Subtract the current tax withholdings from your increased liability. Do the math to figure out if you'll be short on tax money or if what's being taken out of your paycheck is enough. Several online tools and calculators at financial websites can help you calculate your tax liability. By entering your income and a few other miscellaneous figures, the calculators will tell you your tax bracket and an estimated liability amount. A large enough annuity withdrawal can push you into the next tax bracket. If this happens, you're in danger of owing a lot more than you prepared for. If you close your annuity before you're 59 1/2 years old, the IRS will stick you with a 10 percent early withdrawal penalty. This amount is on top of the taxes you'll already owe for the earnings that were in your account.